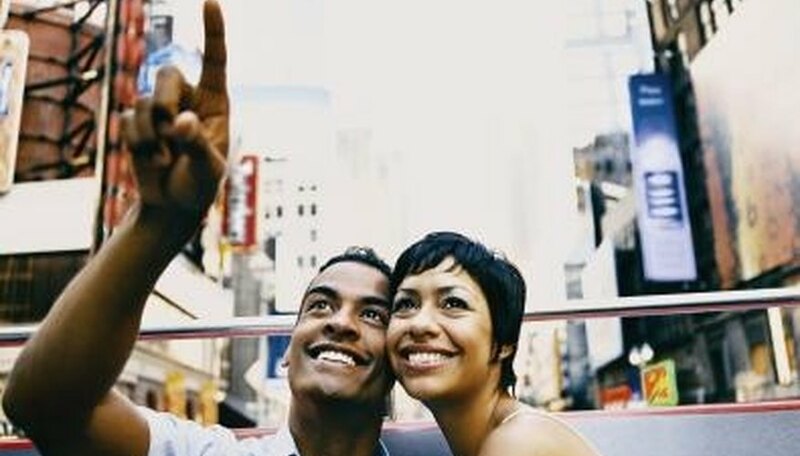 Whether you are a tourist or resident, New York City is a place filled with various romantic spots for a date. There are endless things to do and places to visit at Central Park, Rockefeller Center and other locations within the city. By night, you and your date can enjoy the beautiful night skyline New York City has to offer. Add romance to your date with beautiful sights of New York City. Seek out activities you and your date can do that takes place within a calm and relaxed setting. Central Park is one of the largest parks within New York City where you can find endless romantic activities to do with your date. Once you walk in, you will lose sight of the busy, fast-paced streets surrounding the park. Take a stroll with your date along endless paths and enjoy the sights and sounds of nature. You may also row a boat on a 22-acre lake or watch miniature boats powered by wind along the Cross Park Promenade during warm weather. Before leaving Central Park, go for a horse-drawn carriage ride with your date through the park. Head over to Rockefeller Center for an hour or two of ice skating during cold weather months. Near Christmas, the Rockefeller Center Christmas Tree is lit up. The Rockefeller Center's Channel Gardens, an outdoor garden and plaza strip, is also an urban oasis where you can find benches to relax on and chat. The area is always complete with decoration and colorful plants and greenery. If you want a good view of the entire city, head up to the Top of the Rock Observation Deck. Enjoy the view of the New York City skyline with your date at night. Head over to the Brooklyn Promenade where you can see the entire Manhattan skyline. If you are tired from standing and walking, there are benches along the promenade. If you don't want to venture off Manhattan, head over to the South Street Seaport. View the Brooklyn Bridge lit up and the lights gleaming on the water. There is seating indoors and outdoors and various shops. Lau, Wendy. "How to Have a Romantic Date in New York City." Dating Tips - Match.com, https://datingtips.match.com/romantic-date-new-york-city-2167643.html. Accessed 20 April 2019.